The Winston-Salem Chamber of Commerce hires Hammer, Siler, George Associates to study the feasibility of a research park in the area. Two years later, the firm delivers a master plan for a 10-acre park and recommends basing city technology efforts on intellectual capital at the University’s medical school; state Sen. Ted Kaplan secures $3.1 million in seed money from the legislature. An alliance of academic, business and government leaders promotes technology businesses and development of the research park, known as Piedmont Triad Research Park, with then-Wake Forest President Thomas K. Hearn Jr. leading the efforts. Targacept Inc., a biopharmaceutical company spun out of R.J. Reynolds Tobacco Co., announces it will move into the new One Technology Place building owned by what is now known as Wake Forest Baptist Medical Center, giving the park an anchor business tenant. Office space and laboratories for bioscience and information technology are created in newly renovated Albert Hall and Victoria Hall. Wake Forest Baptist Medical Center announces plans for a long-term expansion of the park to 200 acres of mixed use focusing on biotechnology and life sciences. Led by Dr. Anthony Atala and his research team, recruited from Harvard University, the Wake Forest Institute for Regenerative Medicine moves into the research park’s new Richard H. Dean Biomedical Research Building. 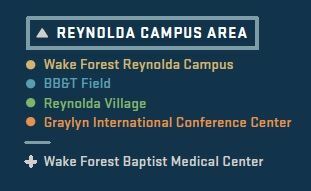 Reynolds American, which donated 16 acres to the research park in 2005, donates 22 additional acres and $2 million to expand the park. The gift includes the Bailey Power Plant. The 242,000-square-foot Wake Forest Biotech Place opens in two converted R.J. Reynolds Tobacco Co. buildings, giving the park a state-of-the-art multipurpose research center. Inmar Inc., a retail, technology and logistics company based in Winston-Salem, announces its headquarters will move into the park. 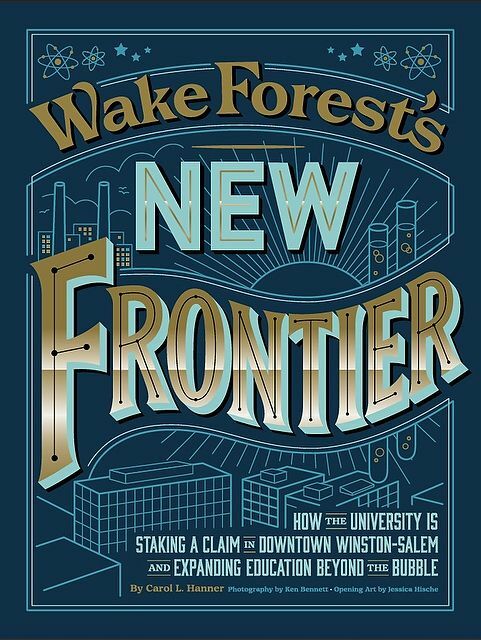 Piedmont Triad Research Park’s name is changed to Wake Forest Innovation Quarter. 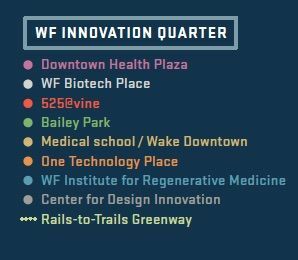 A new division, Wake Forest Innovations, is created to drive the commercialization of products and services developed at the medical center and to manage development of Innovation Quarter. Inmar Inc. moves about 900 employees into the park, becoming its largest employer. 525@vine, a $75-million laboratory and office building, opens in a 1926 building that was a former Reynolds tobacco processing plant. Housed there are Wake Forest Baptist Medical Center’s Division of Public Health Sciences and the Department of Physician Assistant Studies, Forsyth Technical Community College programs in biotechnology and nanotechnology, a YMCA and Flywheel, a co-working innovation space. Plant 64, one of Reynolds’ oldest tobacco plants, opens as renovated loft apartments. Bailey Park, a 1.6-acre park at 445 North Patterson Ave., opens across the street from the defunct Bailey Power Plant, which fueled Reynolds’ manufacturing. The Bowman Gray Center for Medical Education welcomes students to a renovated former tobacco manufacturing plant. The University announces new undergraduate programs will be housed in Wake Downtown at 455 Vine St. connected to the new medical education building at 475 Vine St.
— Sources include Frank Elliott, author of a Chamber of Commerce-sponsored new book, “From Tobacco to Technology: Reshaping Winston-Salem for the 21st Century;” news reports; and Innovation Quarter and Wake Forest communications. Although not the first to establish a tobacco factory in Winston, Richard Joshua Reynolds (1850-1918) built his tobacco factory in 1875 on a 100-acre lot within one of the factory districts — between Depot (now Patterson Avenue) and Chestnut streets. 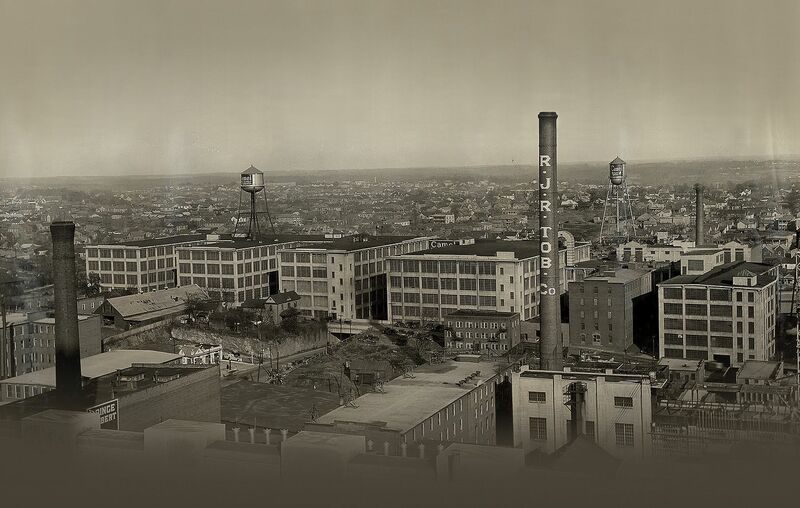 During the last quarter of the 19th century, a total of 39 tobacco factories were established in the city and with the R.J. Reynolds Tobacco Co. soon at the industry’s helm, Winston-Salem would produce by 1930 more tobacco products than any other city in the world. — Excerpted from the nomination form by Jennifer Hembree in 2008-09 for the Winston-Salem Tobacco Historic District to be included in the National Register of Historic Places in the U.S. Department of Interior’s National Park Service. Note: Winston and Salem were not officially joined until 1913, but the names were frequently linked before then. 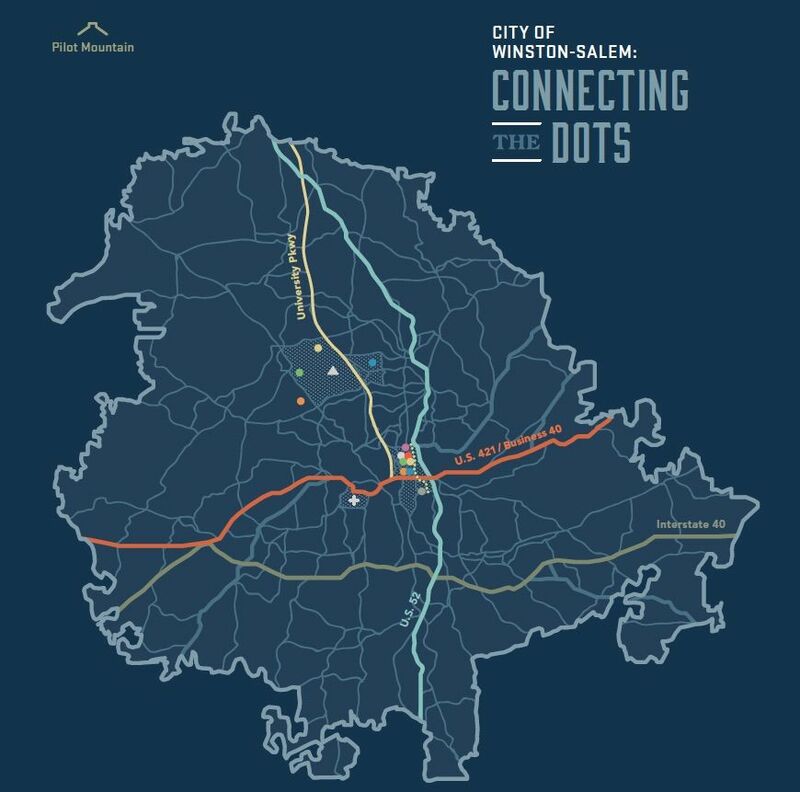 THE HEART OF AN INNOVATION DISTRICT THAT IS HOME TO 60 COMPANIES, ACADEMIC RESEARCH, EDUCATION AND RESIDENCES ON 145 ACRES IN WINSTON-SALEM. Carol L. Hanner is a book editor, writer and former managing editor of the Winston-Salem Journal.